One of the four escaped the mine by himself while the other three, who were trapped for four days, were rescued after an extensive search. 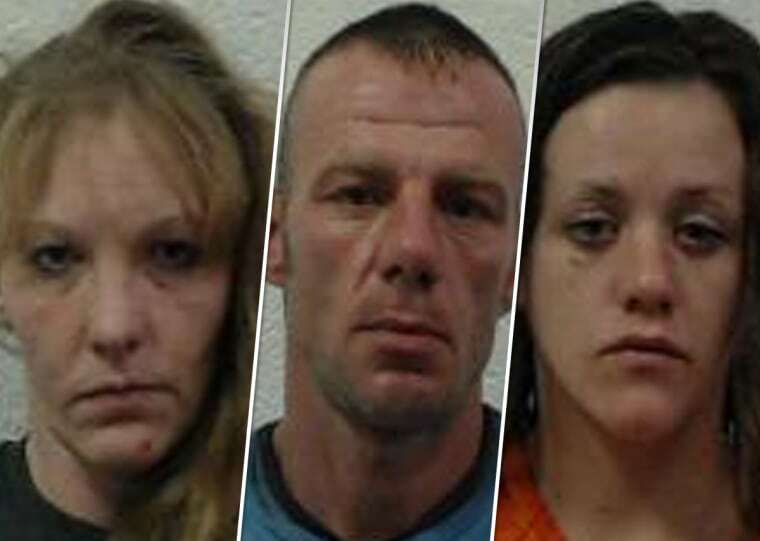 Four people who were trapped in an abandoned West Virginia coal mine earlier this month, sparking a dayslong search, have been arrested, according to jail records. Eddie Williams Jr., Kayla Williams, Cody Beverly and Erica Treadway were reported missing on Dec. 8 after they entered the Rock House Powellton mine in Clear Creek. The mother of one of the trespassers said earlier this month that the four had entered the mine to steal copper, but Beverly and Treadway have both denied that was the case. They said they were just exploring. But entering a closed mine is a crime no matter what the motivation, a sheriff’s spokesman has said. Eddie Williams was able to escape the inactive mine by himself, and after an extensive search involving the West Virginia National Guard, the other three were rescued on Dec. 12. Since last week, all four were sent to jail. The Raleigh County Sheriff's Office issued an arrest warrant for Eddie Williams Jr., 43, last Thursday. He is charged with entering without breaking, conspiracy and giving false information to law enforcement. He was booked on a $100,000 bail at West Virginia's Southern Regional Jail on Dec. 21, according to jail records. On that same day, the sheriff’s office issued arrest warrants for Kayla Williams, Treadway and Beverly. Sheriff’s Lt. M.A. McCray said that the charges are for entering the mine and conspiracy. Beverly, 21, was arrested by the Whitesville Police Department shortly after the warrants were issued, according to NBC affiliate WSAZ. Kayla Williams, 25, and Treadway, 31, were booked on $100,000 bail each at the Southern Regional Jail on Wednesday, according to jail records. Beverly acknowledged after he was rescued that he would probably face charges. "You can’t get away from this scot-free," Beverly he told NBC News. "I’ll take my penalties, I’ll go along with it. I’ll move along and be a better person for it."